I'll do the hard work for you! 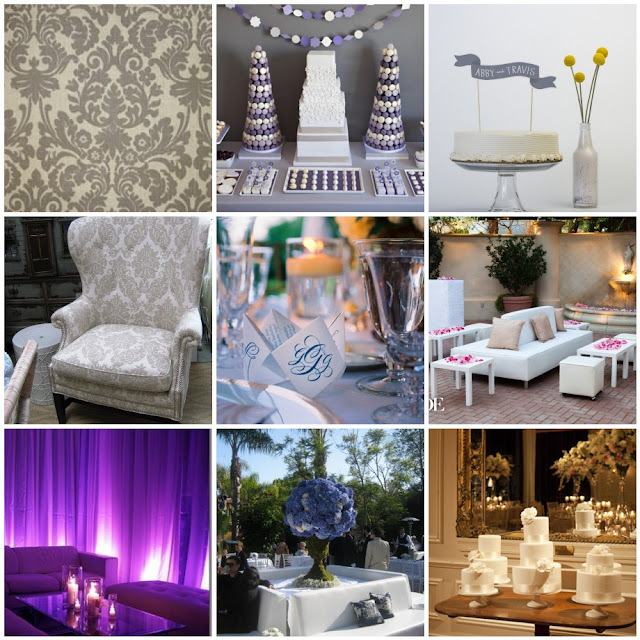 Part of my event coordinating services are creating "Event Decor inspiration Boards." 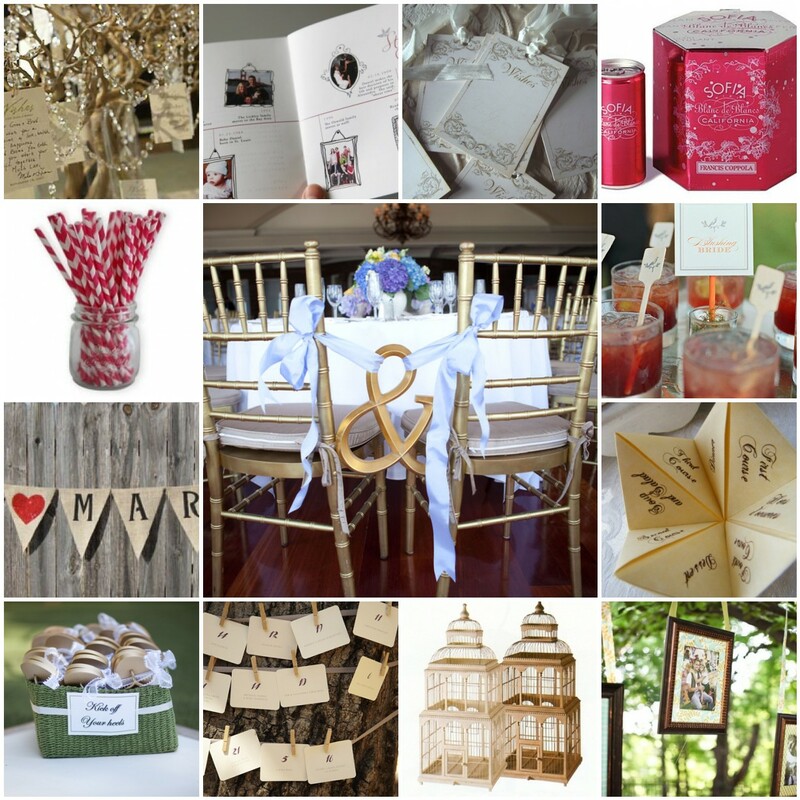 An Event Decor Inspiration Board is a great option for the host who wants a little extra help with the "details." 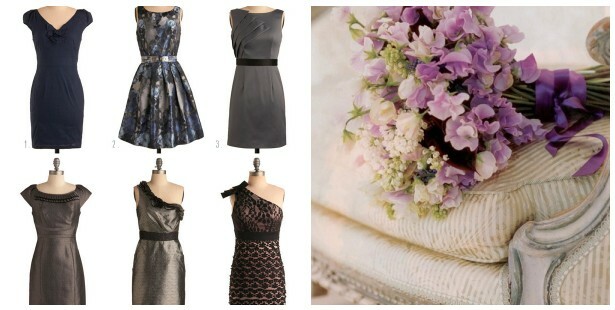 Whether it be a wedding, birthday party, baby, bridal shower, or dinner party....we can help by giving you ideas! 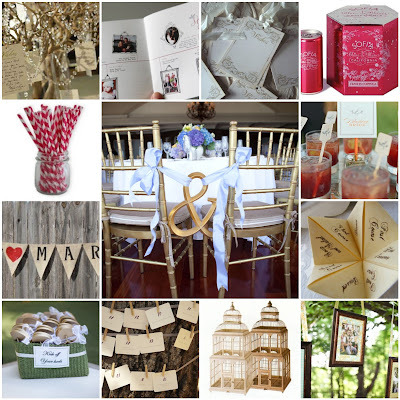 Your custom inspiration board will include photos and sources delivered directly to your inbox! Please provide your theme idea, party occasion, and a few details about the guest of honor in the message to the seller at checkout. Take a look at these boards I came up with. There are three board options to chose from at checkout! 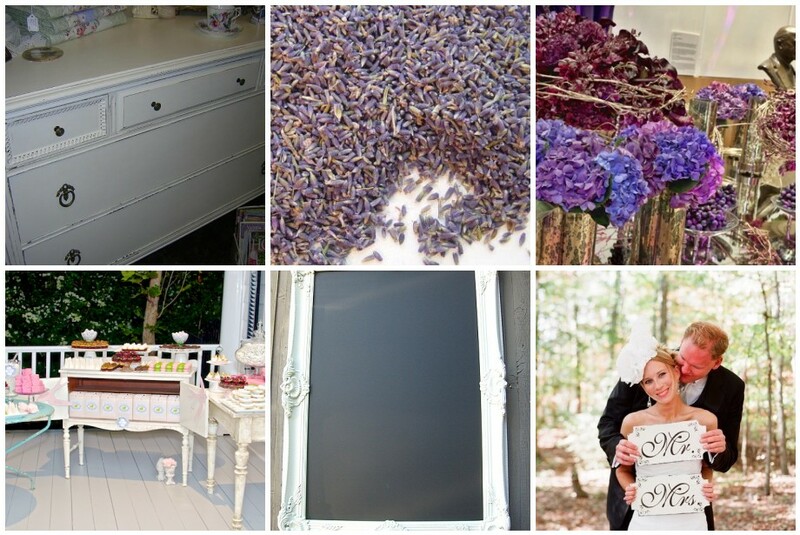 Sample Inspiration Boards from a "Purple and Gray" color scheme wedding I planned. Crystal birch wishing tree (have your guests write well "wishes to you"), one of my favorite finds from Etsy. Photos-hang from a tree with ribbon frames with pictures of Bride and Groom or old wedding photos of grandparents. Vintage dresser- Use this dresser as a styling focal point. Great for welcoming guests to the ceremony. Can also be used as a gift table. Dried Flowers- Place dried flowers in large shallow silver bowls for guest to toss or mini burlap sachets for a party favor. Mini clusters- These mini clusters of flowers are perfect for your gift table or ceremony decor table. Decorate the outdoors by using vintage dressers, nightstands, and armoire. Any piece of painted vintage furniture will make an outdoor space feel cozier. Invite guest to Cocktail hour with a great chalkboard featuring your specialized cocktail and menu items. Photo Op!! Hand painted "Mr & Mrs" or "Just Married" signs are so much fun. High and low arrangements consisting of beautiful white orchids, hydrangeas and roses. Lots of candles giving the room more of a romantic mood. Large vases of water filled with upside down orchids, topped with hydrangea clouds. Can intermix light purples and some green or keep it all white. Linens-cream floor length dupioni silk shantung. Menus-Tucked in the napkin at each persons seat. On top of menu San Diego skyline mimicking that of your "save the date"
Sticking with colors of purples, creams and grays. I envision white or cream lounge furniture clustered in various areas outside the reception venue as well as cocktail area. The goal is to create a night club lounge atmosphere. Creating space for people to hang out around the dance floor is crucial to maximize dancing. Use gray and cream damask chairs as well as damask toss pillows on the white furniture to tie in the colors. Hues of purple lighting is crucial to achieve the mood. Up-lighting around the room as well as pin spot lighting on the centerpieces and dance floor. Cootie catchers can be placed on the coffee tables by the lounge furniture. Outside you can have cigars with personalized match books. If you love vintage and sweet then you will love a banner with your names placed in your cake. Aren't having a cake? Style a beautiful dessert buffet. Buy a beautiful hard covered San Diego Coffee table book-Guests can sign this book as the "guest book." You can have it in your home forever and actually read it! *Wishing tree and tags can be placed by the ceremony area. Place wishing tree on a vintage dresser along with programs, Kippas, and San Diego coffee book for guests to sign.